and then navigate to IOS router under the dynamips and Click on New for adding new image that you have downloaded from internet. 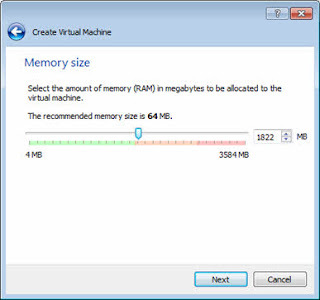 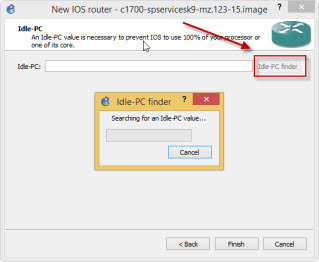 Now browse the image from "IOS path" and in next steps define RAM, IDLE PC value and other required information regarding IOS and finish this wizard. 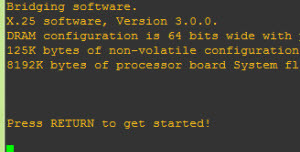 Once you finish this wizard you will find the IOS in top left panel under the router section. 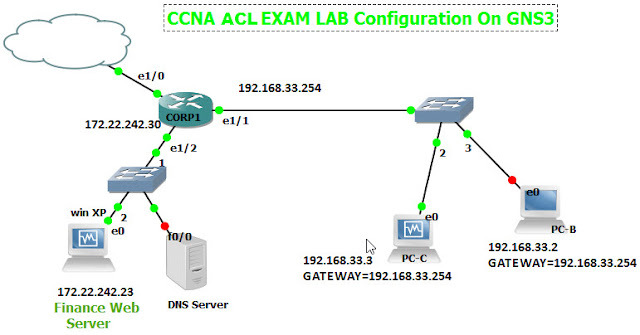 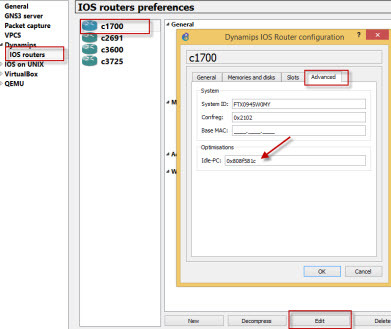 Once you able to adding IOS in GNS3, now you can use it for simulation labs. 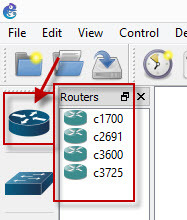 Drag routers from left panel to workplace same like the following figure where I have added two router to workplace. 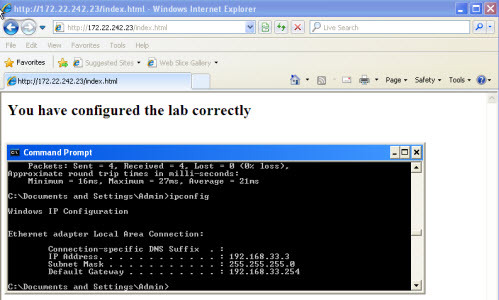 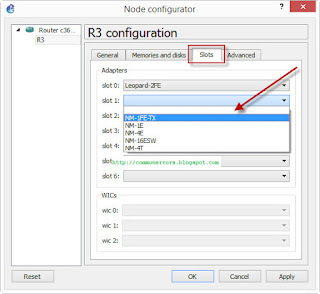 For making connection between two routers click on add a link button from left panel and then click on router for making connection and choose the interface like “fastether0” and then click on the other for creating connection between them. 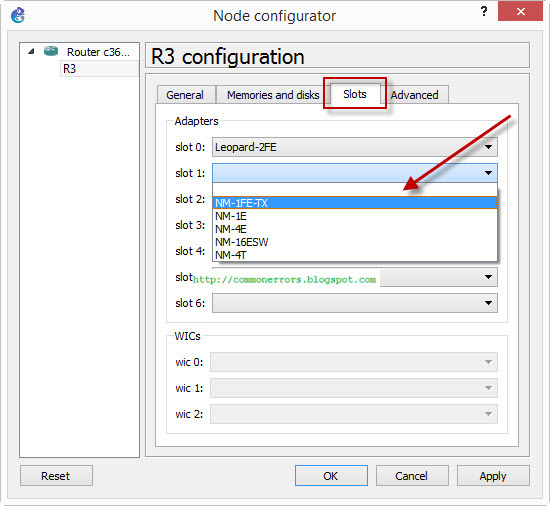 You can change or add any other desire module in you router. 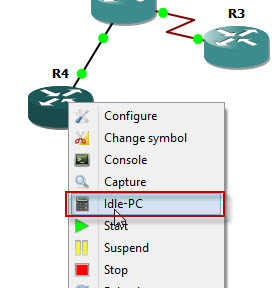 For this double click on the router for adding other interfaces/Modules. 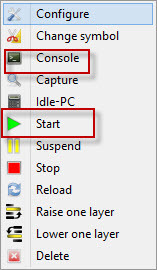 Now from the slot tab select your desire module from dropdown module. 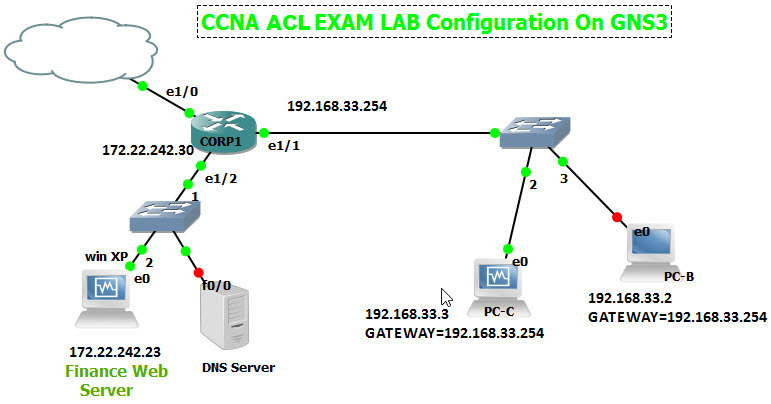 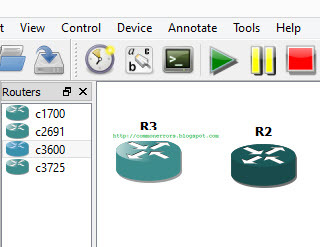 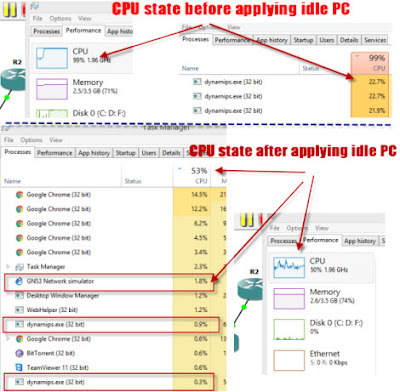 After adding more module your will find more interfaces in your router as shown in the following figure. 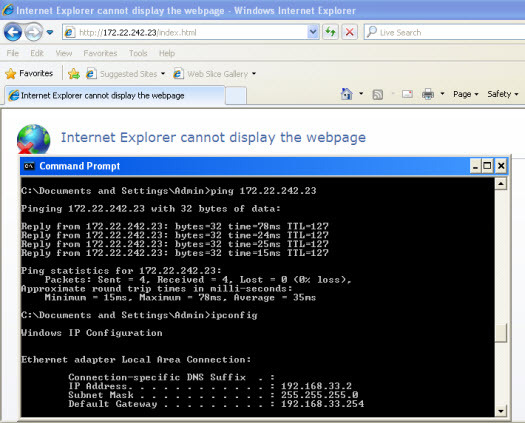 Now start any router which want to configure for this right click on the router and then click on the start. 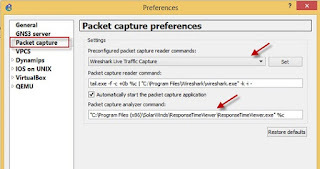 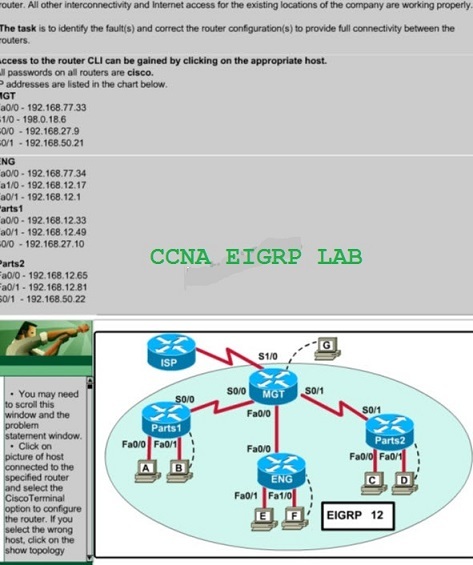 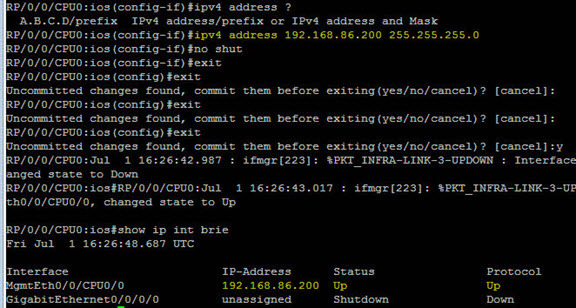 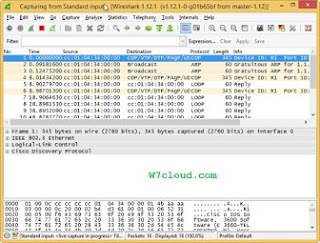 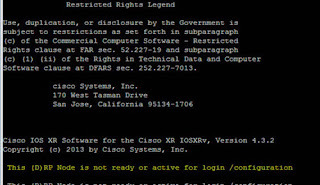 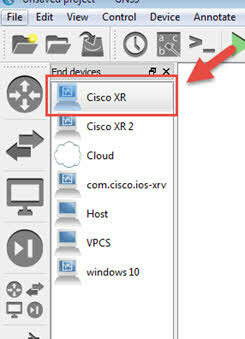 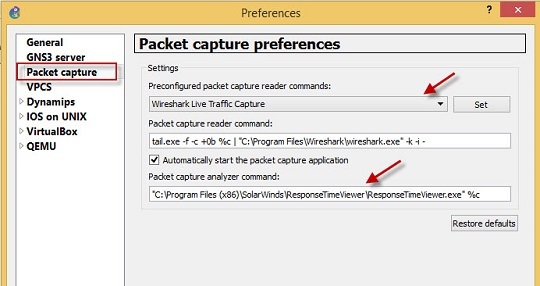 Right click on it and then click on the console, this will open the router console from where you configure your cisco router. It will takes some time while loading the IOS once it is loaded you can start configuring it. 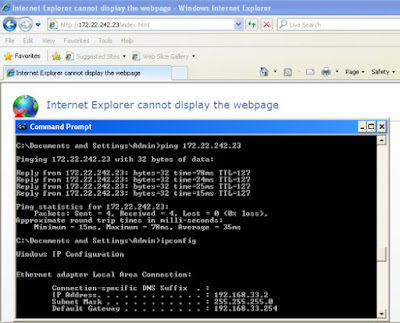 Press enter it will take you to the default mode that is User EXEC Mode (Router >). 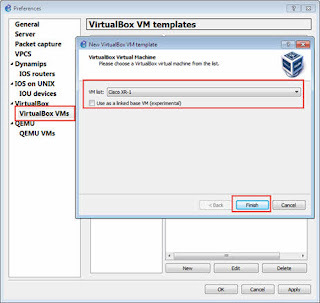 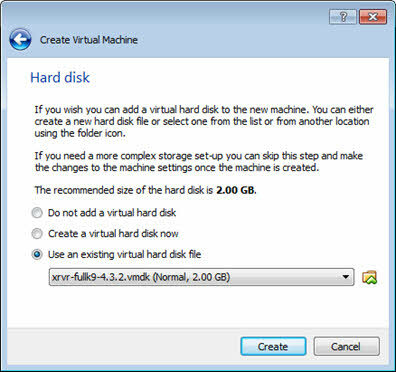 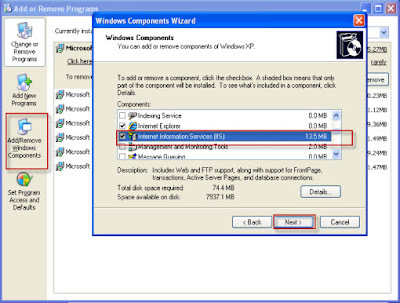 Use enable command from user exec mode for entering into Privileged EXEC mode. 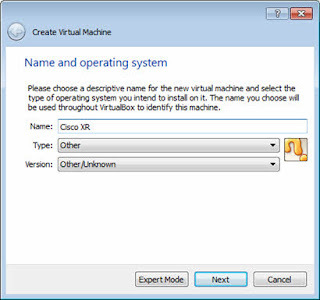 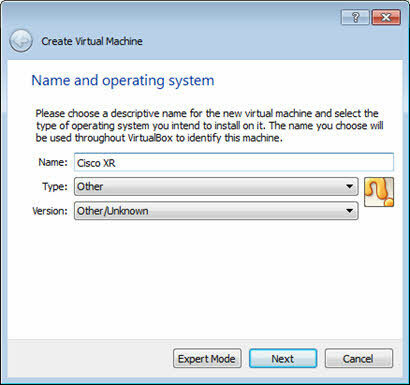 You can try different Cisco Command and can configure your router for example if you want to change router name you can change it using command hostname in global configuration mode. 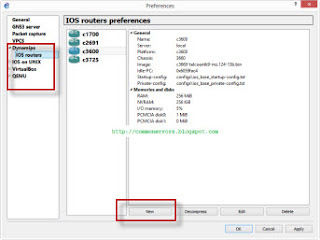 I hope this is informative for you, if you still having any issue while configuring router in GNS3 you can ask any question in commands. Thank you for visiting and reading this.